The fate of an important South Carolina Revolutionary War battlefield is still uncertain in Beaufort Country. 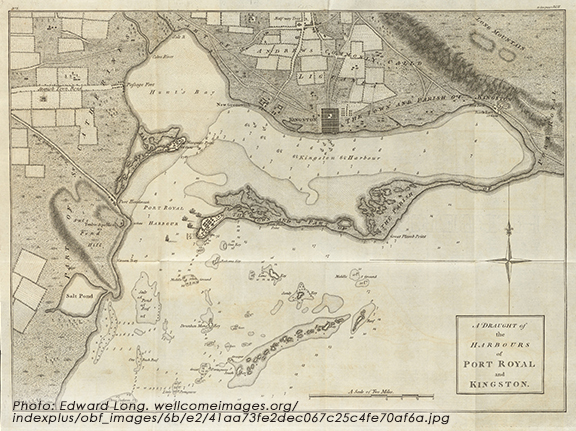 While it is common for Revolutionary War battlefields to possess something of historic note, the 1779 Battle of Port Royal Island stands out with brow-raising distinction. Although conservative in size to other South Carolina battles, this was the state’s first land engagement between professional British, militia and Continental forces. The entire American force represented a diverse cross-section of backgrounds from South Carolina, including African Americans serving for the first time in battle with the U.S. forces in the state. This battle was America’s first victory during the British Winter Campaign of 1778-1779 and helped boost morale and support recruitment efforts for the Southern American Army. The battlefield also had the distinction of being the only engagement where two of America’s Declaration of Independence Signers fought side-by-side for American liberty. 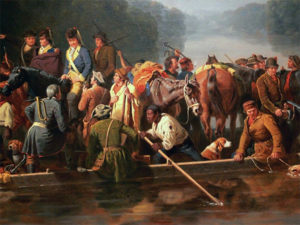 American Forces, such as those depicted in the 1850’s Painting by William T. Ranney’s “Marion Crossing the Pee Dee”, were also present at the 1779 Battle of Beaufort. On a crisp February afternoon in 1779, along a swampy marsh causeway, American artillerymen, skilled in the art, set up a killing zone and awaited an invading enemy. Their intention was to inflict a little payback on approaching British Forces who had been conducting a destructive flotilla raid into South Carolina’s Lowcountry. The Revolutionary War had arrived in the South, signaling a major change in British war strategy. “As the British approached the Town of Beaufort, smoke could be seen from nearby burning General Bull’s plantation, and was likely still smoldering from Declaration of Independence Signer’s Capt. Thomas Heyward Jr. plantation,” claims battlefield archaeologist Daniel Battle. Battle spent months looking for the Port Royal site before finally locating the footprint in 2016. This was the first successful British invasion into Carolina, but instead of the British trying to reignite support for the Royal Government as declared, the invaders brought a brutality to Georgia and the Carolinas that only served to strengthen a resolve for American Independence. The Port Royal engagement, also referred to as the Battle of Beaufort or Gray’s Hill, was the welcoming party of General Stephen Bull and Patriot hero William Moultrie, who just a few years earlier had successfully defeated a massive British amphibious force at Charleston in 1776. In a fiery show of patriotism, Moultrie paced his American lines, reminding his men of the freedom they were fighting for and “threatened to shoot any soldier who flinched from his duty,” according to the remembrance of Ephraim Cohen, a member of a Jewish company from Charleston. An American militia-based force of approximately 300 clashed with about 200 professionally trained British Regulars along a stretch of road just north of Beaufort. “The American force was about as ethnically diverse as you could find,” Battle claims. One company was the “Free Citizens” of predominantly Jewish citizens of King Street in Charleston, as well as Scotch-Irish and German soldiers. Other units were the Beaufort County Militia, the Silk Stocking Company and the Charles Town Battalion of Artillery. 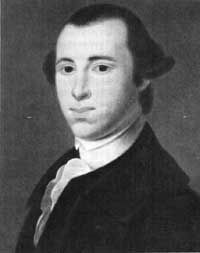 This included South Carolina’s Declaration of Independence signers Thomas Heyward, Jr. and Edward Rutledge. Of the 56 Declaration signers, only 12 ever fought in battle. “These South Carolina signers didn’t just participate: one was wounded, and their personal efforts truly affected the outcome of this battle,” Battle claims. The British force, under Major William Gardner, likewise diverse, consisted of companies of the 60th Royal Americans and the 16th Regiment. Arriving from Florida, these units were confident of victory over the Southern militias. The Port Royal Battle opened with cannon fire with the first British round fatally wounding an American Artillery officer. The American cannon reply was immediate and killed two British officers. 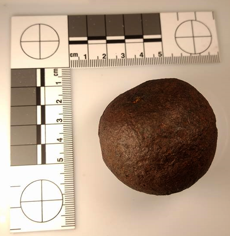 A third shot, from the well-aimed Continental gun manned by local Beaufort soldiers, struck and splintered the only British artillery piece, making the gun crew flee into the woods. “That shot immediately gave the Americans a decided strategic advantage on the field,” Battle explains. The British troops were already committed to the attack and were attempting to pass across a corduroy swamp causeway and to an open field of felled logs. Deadly lead canister shot, the size of marbles, spewed into their ranks resulting in significant British casualties. After almost an hour, Moultrie, with powder running low, withdrew and left a crippled, stunned enemy on the field. The British claimed that Moultrie’s falling back signaled victory. Fortunately, in August 2017, the National Park Service gave a nod to the importance of this battlefield when it awarded the non-profit group, Georgia American Revolution Preservation Alliance, a sizable grant to study this historic event. Hopefully, the Beaufort Marine Corps Air Station will recognize the patriotic value of this site and partner to help tell this important story of the struggle for American Independence in South Carolina. Join the American-Revolution Round Table-SC on September 14 at Hampton Lake to hear archeologist Daniel Battle discuss “The Discovery of the Battlefield and History of the Battle of Port Royal-Beaufort” at 11:30 a.m. For reservations, contact John Basch at (843) 707-7049 or Gina Tjersland at (843) 422-3815.